Doug: It's here! It finally arrived! Yep -- solicited for delivery in early August, John Buscema: Michelangelo of Comics finally landed at my local comics shop on December 15, 2010. And what a beautiful book it is! Those at Hermes Press who were in charge of design really outdid themselves. The color of the cover is a really pretty blue -- very eye-catching. And it's a big book as well (12"x9") -- worthy of being called a "coffee table book". 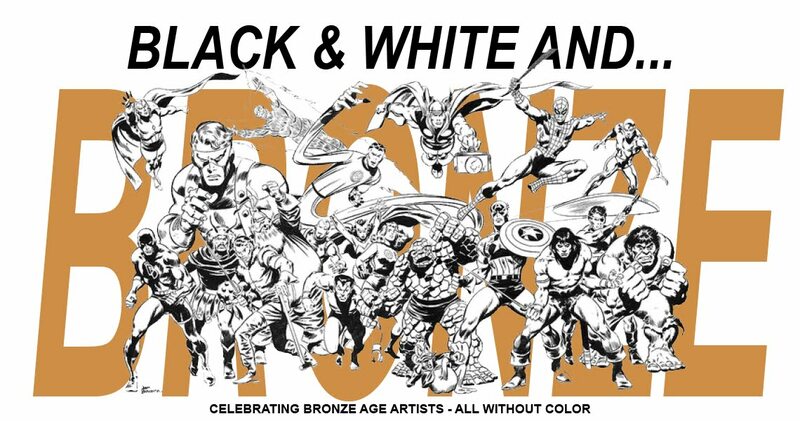 I pre-ordered the deluxe hardcover edition; cover-priced at $60, it includes a special page of John Buscema's pencils that was inked by Joe Sinnott. The page is personally signed and numbered by Joltin' Joe himself! As I stated above, this is a fantastic-looking book. The dust jacket has the same artwork as the cover. As you can see from the image above, the cover art is a montage of some of Big John's classic character poses. 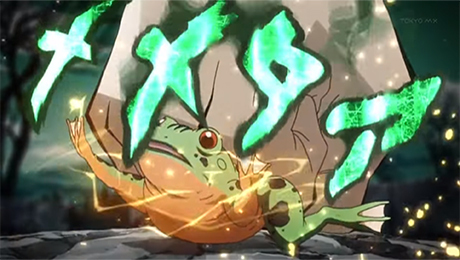 Can you name the source material for each image? 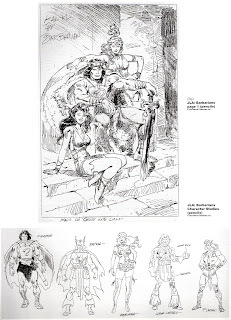 Throughout the text are many, many samples of Buscema art: thumbnail sketches, finished art, partially-inked pencils, production pieces, covers, and more. What is a real treasure here are the larger images that were shot from the original art -- in some instances the pencils beneath the inks are visible, and the different shades of blacks are evident as well. 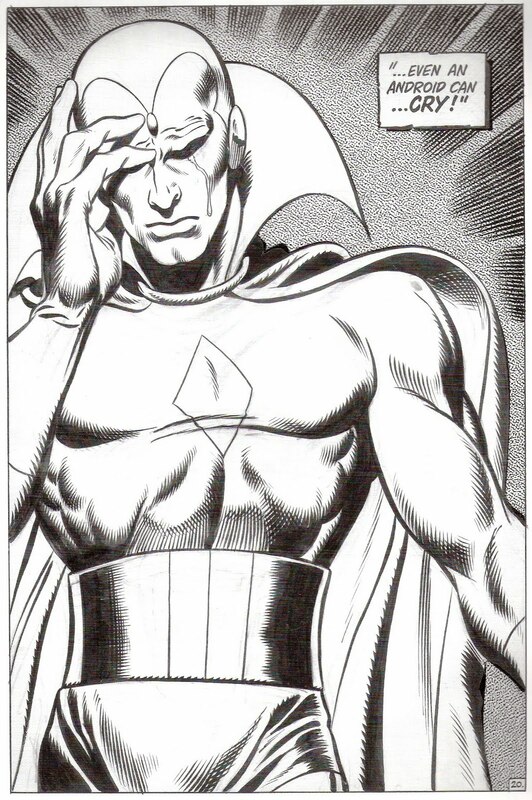 I've mentioned before that I have several pages of Buscema's art. For me, I don't want the art in mint condition -- I love to see the pencils or blue line under the inks, some white out here and there. I want to see the thought process that went into the creation of the page. The editors here gave me a gift in this regard. 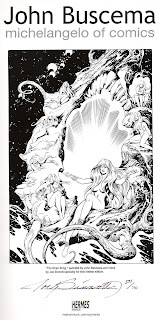 Additionally, author Brian Peck provides us a pretty comprehensive review of John Buscema's career. 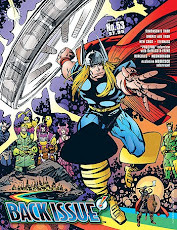 This book is welcome to my library, as previous books about Buscema fell short in terms of being a thorough examination. To be fair, I understand that this was not the purpose of The John Buscema Sketchbook nor of John Buscema: A Life in Sketches. Peck's book doesn't attempt to be either of those -- he just tells the story of John's early life and then launches into a for-the-most-part linear biography of Buscema's working years. Peck takes great effort in discussing the various inkers who graced (or in some cases defaced) Big John's pencils. Every image not only identifies the source, but cites the inker of the material. And if that wasn't enough, there are mini-biographies of Buscema's most important inkers interspersed throughout the text. Each artist gets his own page, complete with a short recap of his career and a couple of samples of his work laid over Buscema's pencils. Peck also discusses the various periods of Buscema's career, noting in which eras he did full pencils and when he did breakdowns only. This is good information, and is particularly interesting when the discussion turns to the work of Tom Palmer -- during their first long collaboration on the Avengers, Buscema did full pencils, but in the 1980's when they got back together on that title, Palmer was largely responsible for the finished product as Buscema did no blacks or backgrounds. Completists will revel in the Buscema checklist at the very end of the book. I believe this was largely compiled by Michel Maillot, as I've seen a very similar piece of work attributed to him. He is cited as a contributor to this book. At any rate, it's fantastic -- perfect for the collectors among you who might chase down Buscema's books. Most of you know I'm a high school history teacher, so you won't be surprised if I tell you I was upset at the lack of citation of source material throughout the text. To be fair, Peck includes a page at the end of the book where he notes each and every interview he either conducted or used as reference. I would not deny that this is an exhaustively-researched book. He makes the claim that he spent three years putting this together -- there can be no doubt, and no doubt of the passion with which he wrote. But -- and I guess I go back to the criticisms Karen and I tossed at Ronin Ro for his lack of citation in his book, Tales to Astonish -- tell me who is saying what and where and when!! If Stan Lee told Peck a certain anecdote then footnote it! If there was an additional nugget of information that was not directly relevant to the written page, then provide end notes! I just can't take that sort of lack of attention to detail. If the research was done, then use it and tell the reader that it's being used. I also thought it would have been a nice touch to label the images with the month/year of publication. Although Peck often refers to those comics in the text, it's just a nicer reference if that information accompanies the artifact. Oh, boy. Again -- teacher in me speaking. About 20 pages into the book (and I started reading it almost immediately after I got it home), I told my wife that if I had a red pen in my hand, I'd have already marked it all up. And it never got better. The grammar errors in this book easily -- easily -- number well into double-digits. And there are other mistakes. Miscredited images. Names misspelled. Sentences that don't make any sense. Words repeated within a sentence. Confusion when discussing two titles that Buscema worked on concurrently. OK -- so Peck states up front that he's an art collector and a huge John Buscema fan. I can deal with that. But don't pro athletes, actors, etc. find a co-author when they are sitting down to write their memoirs? This is the first book I've ever purchased from Hermes Press -- are they all like this? Is there no quality control from editorial? But wait -- I forgot to mention that in the front of the book there is a thank-you to the three proofreaders... uh, say what? Proofreaders? There's just no excuse for the shoddy finished product that is the writing in this book. It didn't have to be this way. The Verdict -- To Buy or Not To Buy? My gripes aside, I am not sorry that I purchased this book. 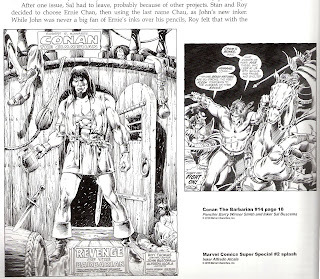 Brian Peck does a really nice job in giving us a tour of John Buscema's phenomenal career. Every era of his professional life is given its due, and Peck never ceases to write with the giddy enthusiasm that I think all fans of Big John's work feel when they discuss him or look at his varied output. My suggestion to you would be to purchase the paperback edition -- you'll save some money, and in light of the errors I think that's easily justified. 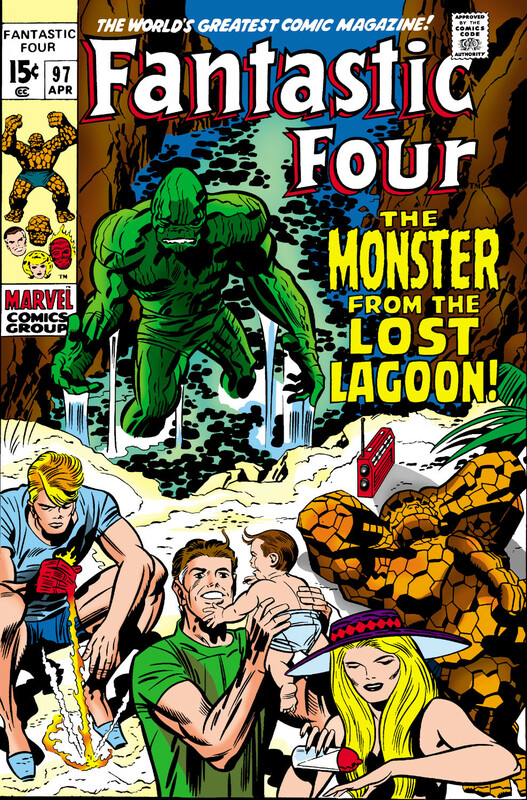 But, if Joe Sinnott's autograph is worth the upcharge, then by all means. If I had it to do over again, for me the Sinnott signature wasn't worth it in light of the grammar errors and other carelessness. I'd have waited a bit longer for the paperback version. 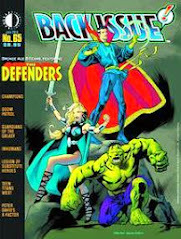 But, until someone writes the definitive biography of John Buscema, which I strongly feel he is still due, this book will fill that void. It is overall a nice-looking book and will sit among all of my other creator bios and art books. 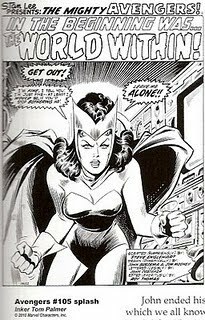 "[I]n the 1980's when they got back together on that title (The Avengers), Palmer was largely responsible for the finished product as Buscema did no blacks or backgrounds." Well, that's news to me. I have many of those issues and I think the art in them is nothing short of fantastic. 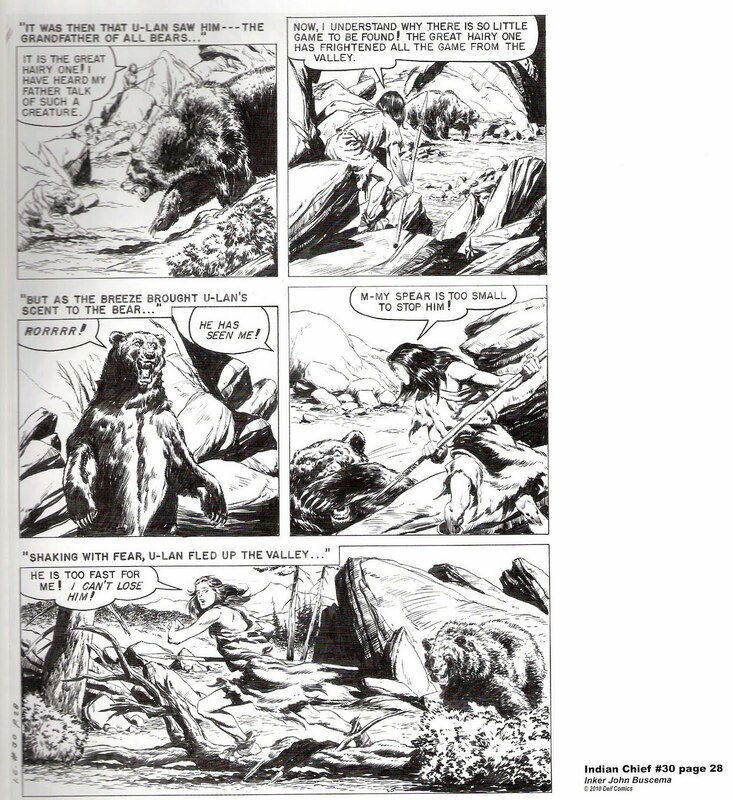 I had always assumed that Buscema's style had evolved because it looked different from his earlier work. It's a little disappointing to know the truth. If I recall (I don't have the book here at school with me - wish I did! 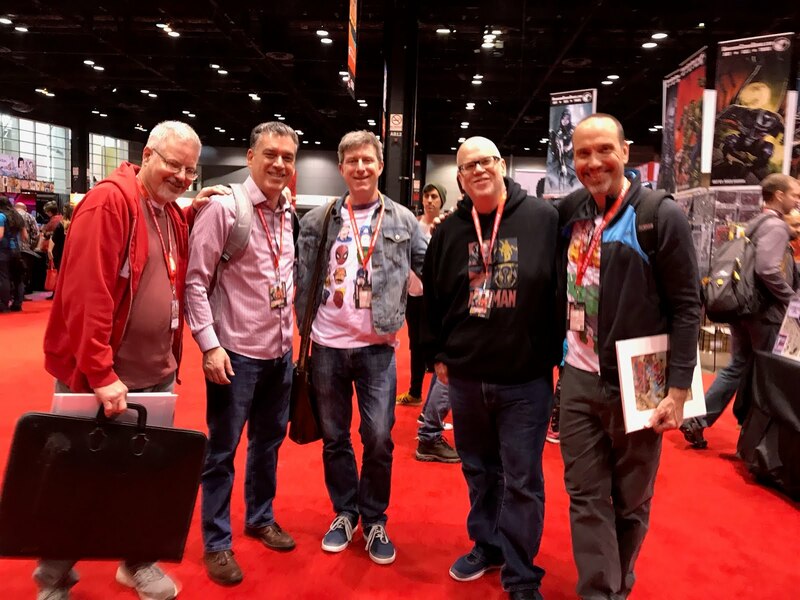 ), Palmer makes a comment that he had quite a bit of freedom on that second run of Avengers, but only from the standpoint of said finished product. 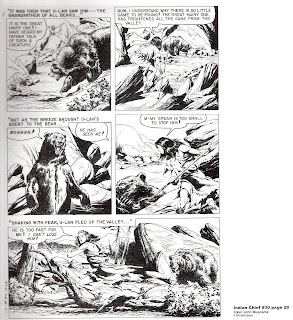 Buscema's figures and lay-out of the panels/page were faithfully adhered to. 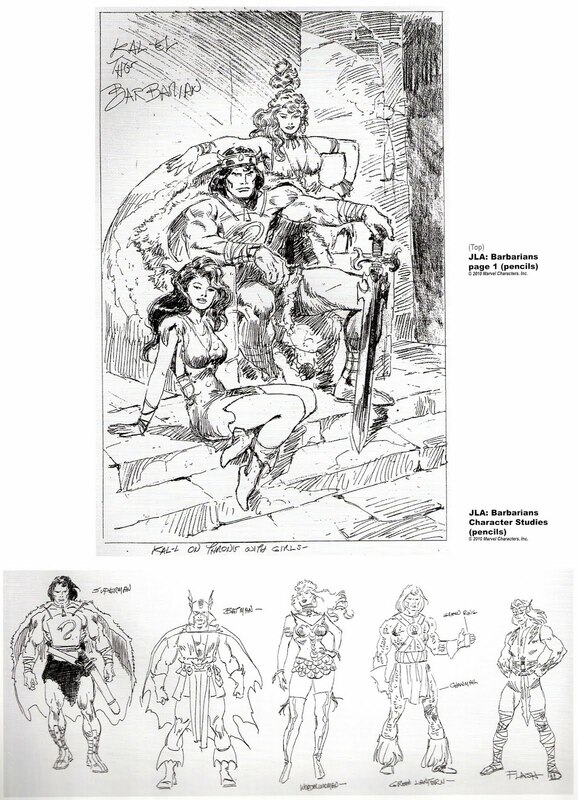 Years ago, not so much anymore, there were tons of Buscema's rough pencils for sale on eBay. I have a page from the period when Namor was on the Avengers -- there's no doubt what the intent is, and when comparing it to what was published, Palmer was quite faithful. You know, there was a period of time when Tom Palmer was working his magic over several different artists on that book in much the same manner as Joe Sinnott was tying together the different creators on the FF. If I remember rightly, the first time round they were described as artist & inker, but in the 80's it was quite specifically 'Breakdowns' and 'finished art' which I imagine reflected the division of labour accurately. I also missed the bigger panels. Seemed like there were more smaller panels as they tried to move the story along faster.